Today, I’m going to look at the 1997 horror film, Wishmaster. The film’s screenplay was written by Peter Atkins, who was also responsible for the horror films Hellraiser II and Hellraiser III. 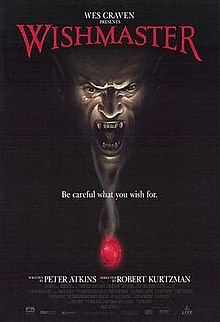 Wishmaster was directed by Robert Kurtzman, an accomplished special effects artist who has won awards for his work on movies like Late Phases and Vampires. His directorial credits, which are far fewer than his effects credits, include The Demolitionist and The Rage. The cast of Wishmaster includes Tammy Lauren (The Young & The Restless), Andrew Divoff (Air Force One), Robert Englund (A Nightmare On Elm Street), Chris Lemmon (Thunder In Paradise), Wendy Benson-Landes (Burlesque), Jenny O’Hara (Devil, Mystic River), Kane Hodder (Friday the 13th Part VII, Friday the 13th Part VIII, Jason X), George “Buck” Flower (The Fog, They Live, Starman), and Tony Todd (Candyman, The Crow). The editor for the film was David Handman, whose other credits include Jason X, DeepStar Six, and Jason Goes To Hell. The cinematographer for Wishmaster was another horror veteran, Jacques Haitkin, who shot such films as Shocker, Maniac Cop 3, A Nightmare On Elm Street, Evolver, and A Nightmare On Elm Street 2. The music for Wishmaster was provided by yet another horror stalwart – Harry Manfredini. His credits famously include Friday the 13th, House, DeepStar Six, House II, Jason X, A Talking Cat!? !, and Swamp Thing. The effects for the film were provided by one of greatest horror effects teams of all time: Greg Nicotero, Howard Berger, and director Robert Kurtzman. The trio have contributed to such films as In The Mouth of Madness, From Dusk Til Dawn, Scream, Army of Darkness, Night of the Creeps, Predator, Dr. Giggles, From Beyond, Day of the Dead, and The Mist, as well as television shows like The Walking Dead and Fear The Walking Dead. The executive producer for Wishmaster was late horror icon Wes Craven, who was responsible for horror classics like Last House On The Left, Scream, and A Nightmare On Elm Street. Wishmaster was made on a $5 million budget, on which it brought in $15.7 million in its domestic theatrical run. Critically, the film currently holds a 5.8/10 user rating on IMDb, and Rotten Tomatoes scores of 24% from critics and 38% from audiences. Despite not making a huge financial or critical splash, Wishmaster still wound up being a franchise, with a total of three sequels made in subsequent years. 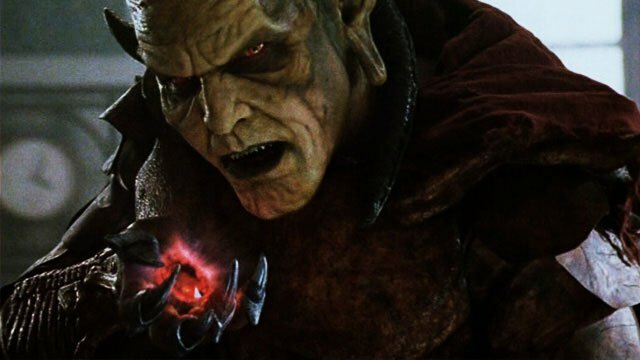 Wishmaster has one of the most essential elements for a b-level horror franchise: a fun, hammy villain. Even better, it also benefits from an interesting gimmick – giving a classic Faustian, deal-with-the-devil concept the horror flick treatment. For both of these reasons, I’ve seen Wishmaster often compared with Leprechaun. While I think Leprechaun does a better job of going into the realm of the absurd with its many sequels, I think the Wishmaster character strikes a more effective balance of menace and humor. Both, however, are mostly delightful b-level horror romps. Where Wishmaster is particularly weak is in its cast beyond the titular monster. Despite the presence of a handful of horror icons, they are relegated almost entirely to glorified cameos, leaving the brunt of the acting load to a less-than-stellar central cast. Leading the pack is Tammy Lauren, who delivers all of her lines with the cadence and tone of a daytime soap opera player, which isn’t what you want from a horror lead. Speaking of the cast, it seems bizarre to me that this production would pull together so many horror standbys, and under utilize almost all of them. If this had been pulled off like the “dream team” that it could have been, I can’t help but think that this could have the makings for a horror classic. One aspect that Wishmaster did not skimp out on were the effects, which makes sense given Kurtzman’s background. The practical effects in particular are pretty stellar when they are at their weirdest, which is a delightful amount of the time. That said, there are some moments of digital effects that have aged very poorly. While Wishmaster on the whole isn’t much, it is decent enough as a formulaic popcorn horror film. If it had been made a few years earlier, though, I think it would have suited audiences better. Particularly in the wake of Scream, audiences were a bit too knowledgeable and burned out on the old conventions of the genre, which were worn thin by over a decade of repetitive horror franchise flicks. All of that said, I think this is a fun flick to go back to now. 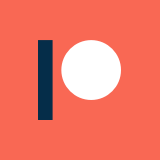 Horror fans at least should give it a spin if they haven’t already.